Aremuhunan. I’m not even sure that there is a direct English translation for that quaint little word. I used to hear my Mom say the word a lot – repeat, a LOT – in the old days and never really understood it to mean one thing. I have read before that the word is a Batangueño expression, although I’m not too sure about that. Although my Mom was from Nasugbu, and Nasugbu is still very much part of Batangas, she was always the first to say that our forebears were actually migrants from the neighbouring province of Cavite. In other words, I have every right to suspect that the family values that I inherited from her – and aremuhunan being one of those – might have travelled across the border with my forebears. I’m not saying that I think aremuhunan is a Caviteño thing but rather something that is a philosophy or a way of life expressed in more parts of the Katagalugan than is generally thought. In this context, the word may mean pandagdag to, say, the coins in your pocket that you can use to pay your jeepney fare. It may also be an expression of a sense of practicality in using something that nobody else wants; or a simple recognition that there can be no one million without that five centavo coin. 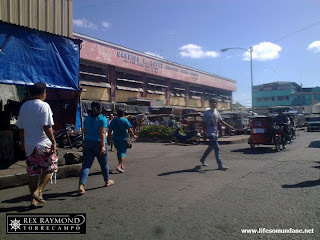 When I used to accompany my Mom to the market as a little boy, she would hop from one tindera to another like a busy bee in search of somebody who would sell her gulay for a miserable five centavos less. Oh, she could move around with alacrity; but that was because I was the one carrying the meat- and vegetable-laden bayong while I wearily trudged after her. There was also the hoarding aspect of the aremuhunan. A peanut butter bottle once empty was cleaned up and stashed away inside a cupboard until it was filled with empty peanut butter bottles that she had absolutely no use for. Aremuhunan. 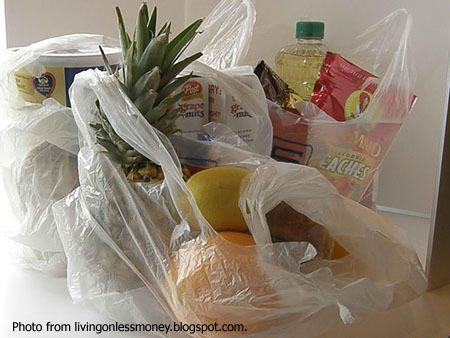 A plastic bag from the supermarket or grocery store was folded and stashed away inside a cabinet until it was filled with plastic bags that she had no use for. Aremuhunan. The wrappers from Christmas gifts that we received were carefully removed and smoothened. Aremuhunan. At least, the wrappers had practical use. Ooopppsss!!! Mom could also keep leftover food for as long as she could inside the fridge with the hope that she could recycle these when cooking another dish. Aremuhunan. 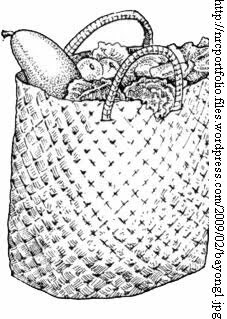 I suppose, in a manner of speaking, that the culture of aremuhunan is also a culture of frugality. Whatever the context, the expression always has underlying economic principles: the need to save and be frugal and the wisdom of not letting anything be wasted. So do you roll a bottle over your toothpaste container to squeeze out every drop? Walk a kilometre along the way before you ride your jeepney so that you only need to pay minimum fare? Use three cloves of garlic though the recipe says four? Squeeze leftover bars of soap together to lather yourself with although you have several new boxes in the closet?